A 40-year-old Cambus single grain and 37-year-old Port Ellen, the oldest expression from the closed Islay distillery, are among Diageo’s 2016 Special Releases. 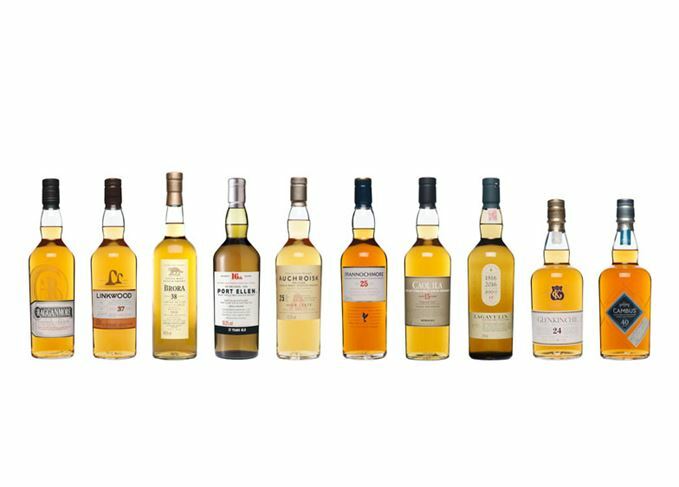 Ten Scotch whiskies are to be released this autumn from operational and silent distilleries, all of which have been chosen as model examples of the Diageo Scotch portfolio. The oldest release in this year’s series is Cambus 40-year-old, a single grain whisky from the Diageo-owned distillery that closed in 1993, carrying a price tag of £750. The 2016 Special Releases also feature a 37-year-old bottling of Port Ellen, the silent distillery’s 16th appearance in the range and the oldest expression released to date. This year’s bottling will set purchasers back £2,500, £100 more than last year’s 32-year-old expression. Also returning for another year is an unpeated Caol Ila, this time as a 15-year-old, and Lagavulin 12-year-old. Dr Nick Morgan, head of whisky outreach at Diageo, said: ‘The unveiling of the Special Releases range is a moment I look forward to year after year. Diageo’s Special Releases series was created in 2001 in response to growing demand for rare and unusual expressions.